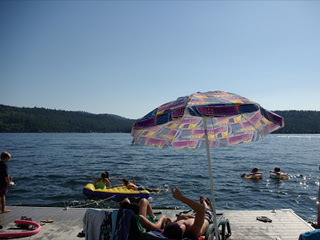 We proudly offer three Lake Coeur d'Alene vacation rentals near Harrison Idaho. Grab a cup of coffee and explore our site to see what Harrison has to offer. You'll love it here. Harrison Idaho is a charming resort town above the southeastern shores of Lake Coeur d'Alene between the Coeur d'Alene and St. Joe rivers. Once you arrive in Harrison you will find yourself in close proximity to the Northwest's great treasures. For more information about local amenities and recreation, please give us a call or jump to our Research Harrison page. Our family has lived in Harrison for more than 50 years and we look forward to helping you plan a memorable vacation and taking in all this area has to offer! Grandma's Cabin - $300/nightCoeur d'Alene waterfront vacation rental with private beach and dock just north of Harrison, Idaho. Fully furnished 3bd/2ba, panoramic views, large yard, BBQ, A/C, HD w/prem channels. We also rent pontoon boats and kayaks! Rates from $300/nt.